In 1884, Carl Duisberg began his career at Bayer. 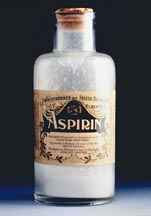 (7) He was General Manager at Bayer when in 1897 another prominent chemist, Arthur Eichengrun - a Jew - discovered Aspirin. Eichengrun was prolific, with 40 patents to his name and was promoted to the head of pharmaceutical research upon his discovery. 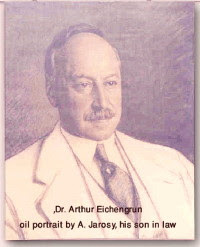 (8) Eichengrun was never given credit for discovering Aspirin. 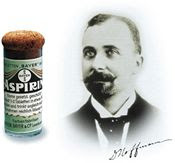 When he was promoted head of research, his assistant, German Felix Hoffmann - the man Bayer claims to this day (9) invented aspirin - was moved to the sales department. As it turns out, IG Farben made the Hoffmann story up in 1933 as the Nazi's came into power. To be fair, Bayer would never forget the inventor of their best seller - "the world's favorite painkiller." They used their influence to make sure Eichengrun got sent to the best of concentration camps. (10) He even got his own room. Richard Willstatter, a Jewish Nobel Prize-winning chemist (1915) who had been forced to flee Germany in 1939, wrote a book while in exile in Switzerland. 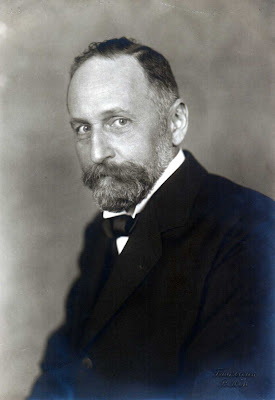 In it there is a short passage in which the scientist criticized Carl Duisberg for making anti-Semitic comments when Willstatter resigned from the University of Munich in 1924. (11) These anti-Semitic tendencies within I.G. Farben would become more pronounced as the company became more political. They utilize tagua to generate bracelets, necklaces, and earrings. be based on a number of things namely design, materials and time. However, don't put a lot of attention perfectly matching against other factors. May 31, 2013 at 10:09 a.m.
June 3, 2013 at 4:04 a.m.
June 3, 2013 at 6:02 a.m.
June 3, 2013 at 3:39 p.m.
June 5, 2013 at 4:37 p.m. It's going to be ending of mine day, except before ending I am reading this wonderful paragraph to improve my know-how. June 9, 2013 at 8:58 a.m.
because I stumbled upon it for him... lol. So allow me to reword this. June 12, 2013 at 5:20 a.m.
then he must be visit this web page and be up to date all the time. June 17, 2013 at 9:08 p.m.